Every season is rife with its own set of festivities and occasions. But there is one occasion, you will agree, that has no specific season. It can occur at any time of the year – a housewarming party! As it’s a predictable occasion, when we go over as guests, our gifts too tend to be just that – predictable. Wall clocks and dinnerware seem to be the staple presents for a new home, don’t they? But why not avoid giving the same gift as many others? Why not cut the cliché and seem more thoughtful? Your gifts don’t need to be commonplace. Your gifts don’t always have to provide immediate gratification. You are allowed to think different. You can give delightful gift cards. A gift card, (also known as gift certificate, gift voucher or gift token) is a prepaid stored-value money card, usually issued to be used as an alternative to cash. It can be used for purchases within a particular store or related businesses. Why is it a better alternative? Scroll to know! Giving someone a present for any occasion can pose these questions in your mind. And more so, when you’re buying housewarming gifts, or a gift for colleagues and when the information about the person or event is scarce. Gift cards can hence cut the guesswork for you, you won’t have to spend time choosing a gift, and you won’t have to worry if they’ll like it or not. Because, of course they’ll get to choose! People love freedom and control. And that includes over what they buy or want to buy. When you give someone a gift card, it gives them the freedom to purchase whatever they’d like, up to a certain price. They know their own house better, don’t they? And they can take their own sweet time to buy it, till the date the card is valid. They will not have to rush. We’ve all dealt with the last minute pressure of buying a gift, especially for an occasion like a house-warming party, where the present is considered generic – not necessarily for a particular individual. But instead of trying to dig through the picked-over aisles at your local mall for last-minute gifts, go easy on yourself. Give the new homeowner a gift card. You can be sure your gift will be put to good use. Moreover, the cost of sending gift cards is a lot less than the cost of mailing packages. Now, how do you easily get a suitable Gift Card, while sitting where you are, without going out of your house? 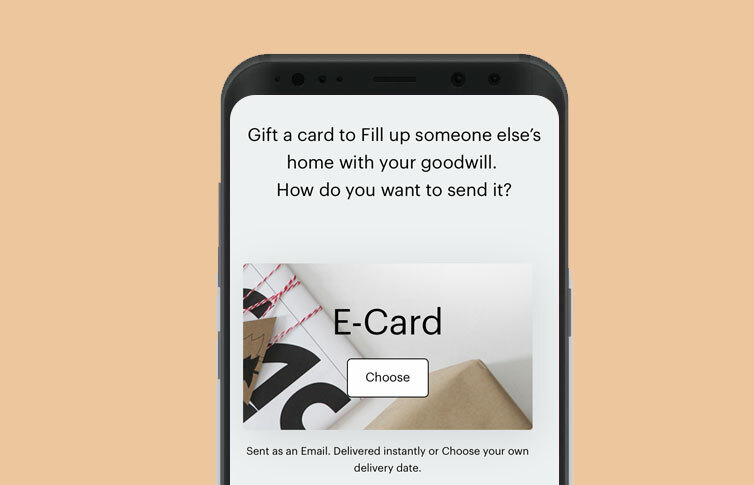 You can send e-cards that will be delivered to the recipient on a date you choose, via e-mail. Or you can send printed cards that will be delivered to the recipient in 3-7 working days(via Enhanced Shipping). Gift cards are like any other gifts you give, so you should think about the person/family you are giving the cards to. They are always a safer option, brimming with possibility, and the guarantee that receivers will end up with something useful – or something they love. 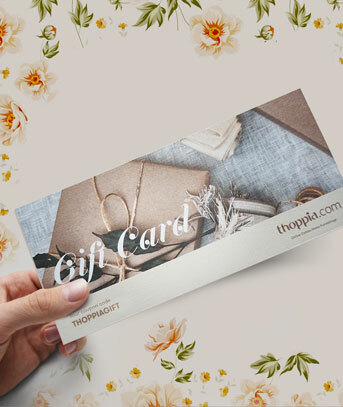 For more information or for gifting a card, head to thoppia.com/gift-cards/. The idea is to gift something which is nice and unique, worthy and appreciative. And it’s the thought that counts. A well arranged home surely has the few well arranged things- furniture, lighting and fabric. Fabric does not mean just the bed sheets and curtains. You can use a Stitched Cloth to soften a room, add romance, and give a room a finished feel. It can be used in any room style, and on any budget! Here are a few ideas to get you started. A vase at home adds a touch of elegance to any space. Glass, metal, ceramic, gold, turquoise, vintage, rustic – they’re available in various types. And the best way to make a vase look more exquisite, alongside protecting it, is by placing a vase mat under it. Sometimes though, you may not find the right vase mat. You know, the one that goes so well with your vase and brightens up to your mood. 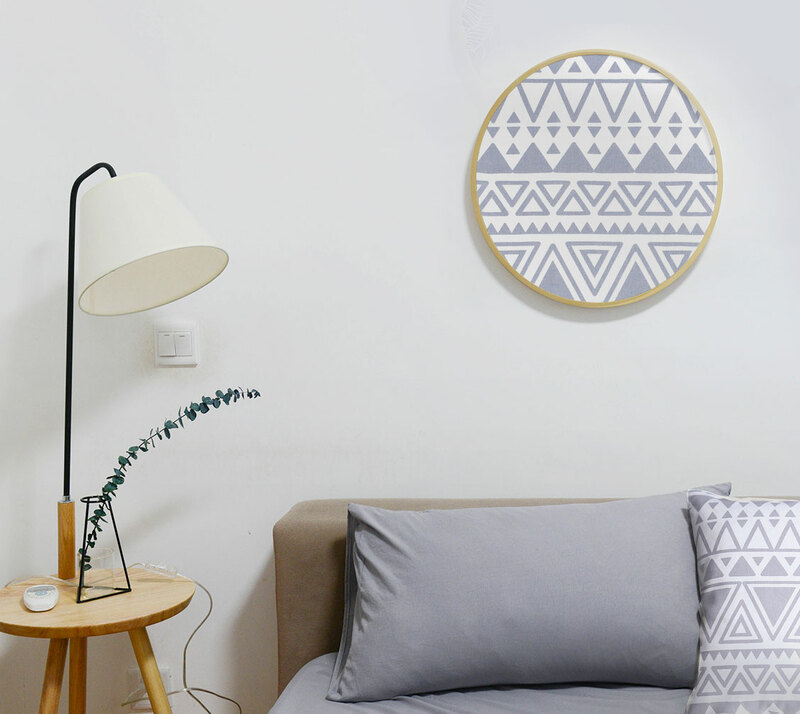 Rather than looking everywhere to find one like that, you can pick a stitched cloth you like, and have it customized into a 100% Cotton vase mat that complements your vase. Easy! Gone are the days when wall décor was supposed to be expensive or high-end. Today, people go for reasonable yet clever ways of decorating their walls and making a mark. The easiest way to do this is by using fabric. When it comes to home design, fabric is one of the most versatile materials. You could pick a smaller cloth, have it embroidered or styled like you want it, and hang or pin it on your wall as you’d like it. 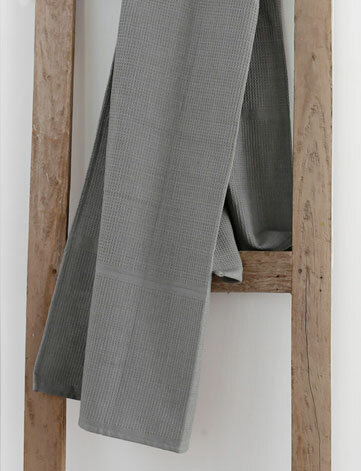 Or you could take a bigger fabric, and turn it into a massive, impactful piece of art on your wall. 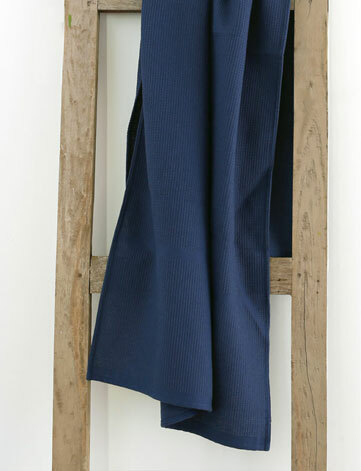 Or put the fabric into a frame and place it on the wall. If it’s a beautiful fabric, this would give it a worthy display. Just get your creative juices flowing, and play! 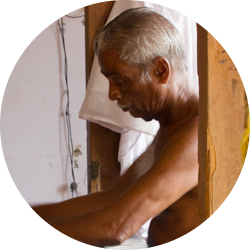 A lot of Indian households use paper — typically the old newspapers they didn’t throw away — to cover their cabinets and shelves. Only once this covering is done, do they place things and belongings on those shelves/cabinets. This could be to protect the shelves, and minimise dust. But paper can tear easily. It’s of no use once it gets wet or stained. It shows oil marks. So is there a better alternative? Definitely… Use cloth! Customised Stitched Cloths that are 100% Cotton can absorb water. They won’t tear unless you want them to! They’re durable. And if by chance they get stained, you can wash and use them again. They’ll break the monotony of your cupboard, and can make it look prettier. Fair enough? May be you brought home a brand new table. You’re excited. But all your excitement washes away when you don’t find the rightly fitting cloth for the table. You sigh. 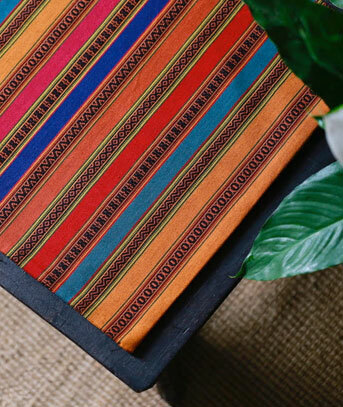 And then you find out that you can now choose a stitched cloth that catches your eye, and get it customized as per the dimensions of your table – at the comfort of your home. That’s right. This is yet another way to make good use of a stitched cloth, as it has its borders stitched to perfection. And same goes for table runners. They soften the hard furniture in the room. And what’s on the table should delight you – that doesn’t just stop with food! Style is a deeply personal expression of who you are. And your personal style can be very well reflected in your home, by the fabrics that you dress your home with. They can be used in so many ways to add color, pattern, and texture to a room. Make some conscious decisions, pick what you like, customise the pieces as you want them to be, and watch what a stitched cloth can do for your space! Your home is nothing like another, it deserves a unique character and a personal touch. And if you are someone who is very particular about home decor and furnishings, something like buying curtains for home can make you think a lot. Because you will always have certain questions – if they will fit for the size of your window, if they will match with your furniture, if they are durable, and so on. But, if you have noticed, these questions usually arise when you are buying ready made curtains, but not customized ones. Why would somebody ‘customize’ their curtains, you ask? 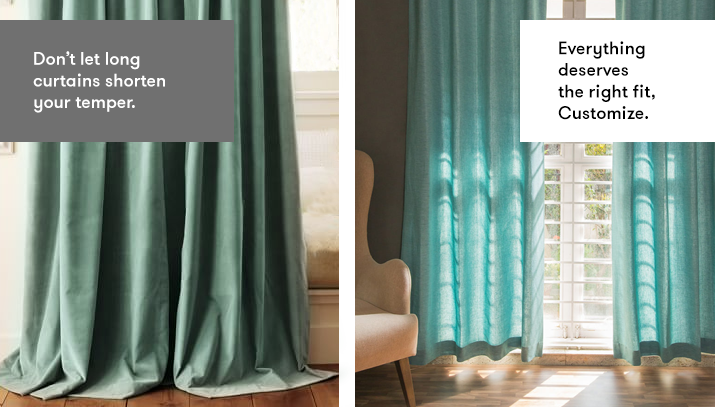 Well – when they can enjoy the freedom of custom size curtains, to create a style that is exactly what they need – why wouldn’t they? Let us elaborate on that for you, with three major pointers – the sizing, the choices, and the finish. Sometimes your windows may not be of a standard width or height, or you may have an unusual requirement, like a window seat. 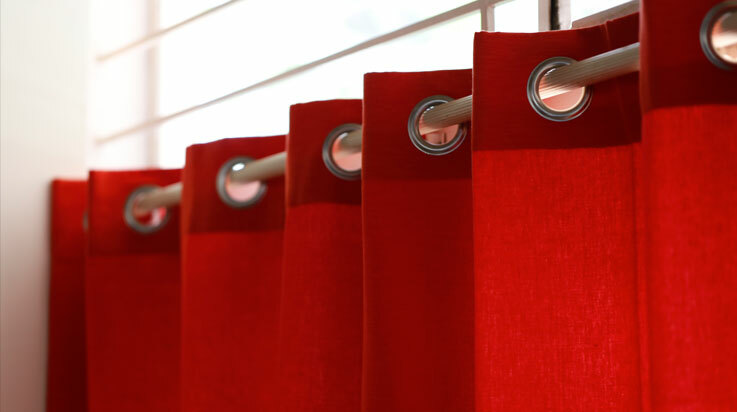 Though ready made drapes come in different sizes, they mostly stick to a standard fit. That could give you the extra burden of curtain alterations, if your windows are larger or smaller. But custom made curtains are made to measure. Which means, you can have curtains made to the exact dimensions you need. And you won’t have to compromise on design, or quality. Be it living room curtains, bedroom curtains, or blackout curtains, there will be no burden of alterations! 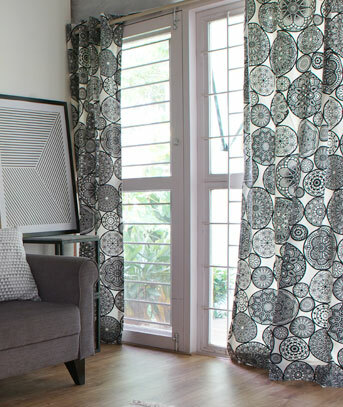 Hence, this is one of the most prominent reasons why people opt for customized curtains. Customization gives you the power to choose. And when you have the power, you can choose wisely. You are presented with a variety of choices, so your curtains can truly look, feel and fit like you want them to. At thoppia.com, you can avail high-end customization of home decor and furnishing products online! No hassle here. You get to choose the to-be-customized curtains’ fabric material, color, design and the lining. You also get to pick the header type (heading), dimensions of height and width, and if you require tie-back on curtains. Plus, there are free swatches available, so you can touch and feel the material before you decide to buy it – all this while sitting in the comfort of your home. Why not give yourself the benefit of choice? Custom made curtains are made with a lot of attention to detail, by a single maker from start to end. And they’re made for you, not mass-produced. The care taken ensures supreme quality finish for your curtains, meaning your curtains will look and feel beautiful for a very long time. That makes customized curtains very durable. Now that you know better, if you are thinking where to buy online custom-made curtains, you should definitely consider Thoppia. You’ll have a variety of gorgeous options to choose from. Green curtains, blue curtains, or curtains with patterns – whatever you want, they can all be tailored for your windows. If you would prefer going the extra mile to have something lasting and unique for your home, charming made to measure curtains can be made to please you! Imagine having a furnishing that you can use in more than one way! You must have come across a throw blanket somewhere or the other. And given that it’s the winter, people just can’t have enough of them! Throws are smaller than the everyday blankets, and tend to be more associated with decoration. That’s why, they are often used over the back of a couch or chair, or draped over the arm of a sofa. But that is not all they can do! 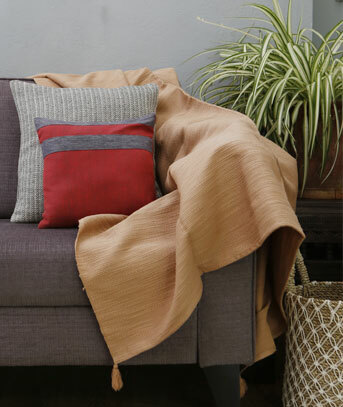 Whether on chilly winter nights or blazing summer holidays, throws can be used for a variety of purposes which makes them extremely functional pieces. Read on to find out how you can incorporate a throw in your home, and use it even after the winter is over. Drape a throw over a chair after folding it lengthwise. 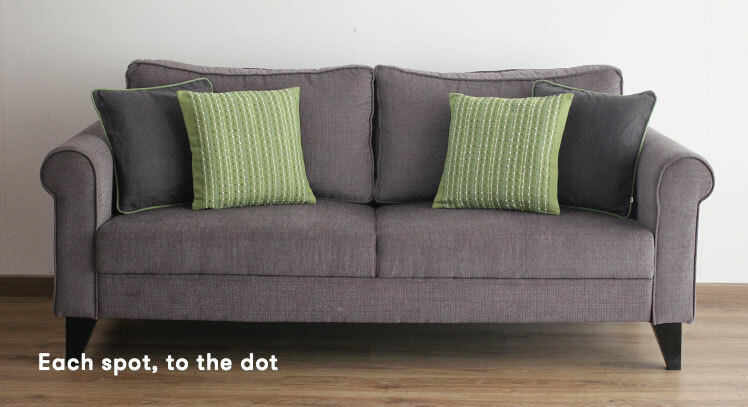 Place a throw over a sofa or couch. This can help to protect the cushions, especially when you have pets whom you love too much to move them from the couch. Drape it across the end of the bed. This could induce a more personal feel. 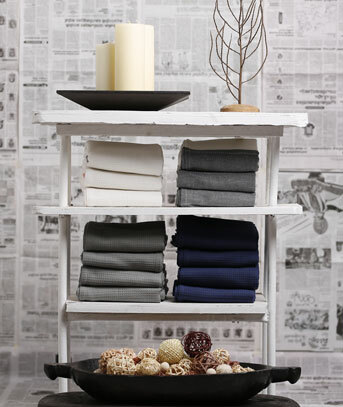 If you have a minimalistic window seat, a gorgeous cotton throw is an instant way to add style and warmth to it. Arrange a throw as a stylish addition in your living room or bedroom. 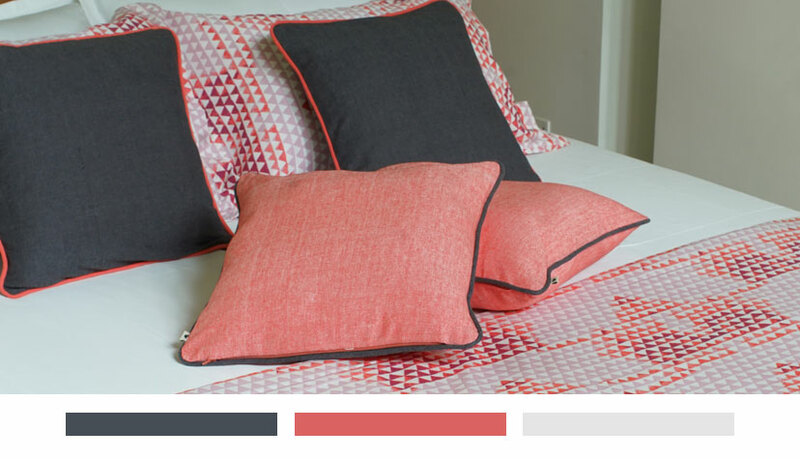 Choosing the right type of throw depends on where you’ll use it, the look you want to achieve and your colour scheme. For a variety of delightful options, you can buy throws online India. This is probably the point you will love the most. On a chilly night or a rainy morning, throws can come handy. Use them instead of using large winter blankets. Drape yourself, and have your warm cup of coffee, or read your favorite book. Nestling in a warm throw whose texture you love can be addictive! More power to you if you can get a handwoven one. Apart from snuggling in them at home, you can even use them outside in another interesting way. Instead of worrying about which sweater to wear above your shirt or top for an outing, wrap yourself in a small plain throw that is cozy-as-a-cloud when the wind is cold. Yes, you read that right. Children love to play with blankets. The throws we offer are hand-woven and cotton, which means that they are a lot safer, softer and smoother than other throws. Hence, these throws are also perfect for the newborns. It provide them with safe and ample warmth and comfort – whatever be the season. Everybody loves presents, especially those that are thoughtful. Hand-woven cotton throws make a great gift for any occasion – be it one throw or more, for one person or several members of a family. And when the weather is cold, a throw as a present would surely be appreciated! Do you go on long drives often? Do you think it’s too cold outside at night? If you’ve answered yes, we suggest you to keep a cotton throw in your car. Because throws make beautiful shawls. They insulate against a chill. Let them be in your car all the time. That way, you won’t have to look for a hoodie or jacket while you grab your car keys. And if you’re soon going to travel by bus or train, do not forget to take a throw with you. It is a perfect size to drape around your shoulders. It will keep you warm as you travel, and feel so soft on your skin. A bonus point, if it’s a stylish one with pretty patterns! 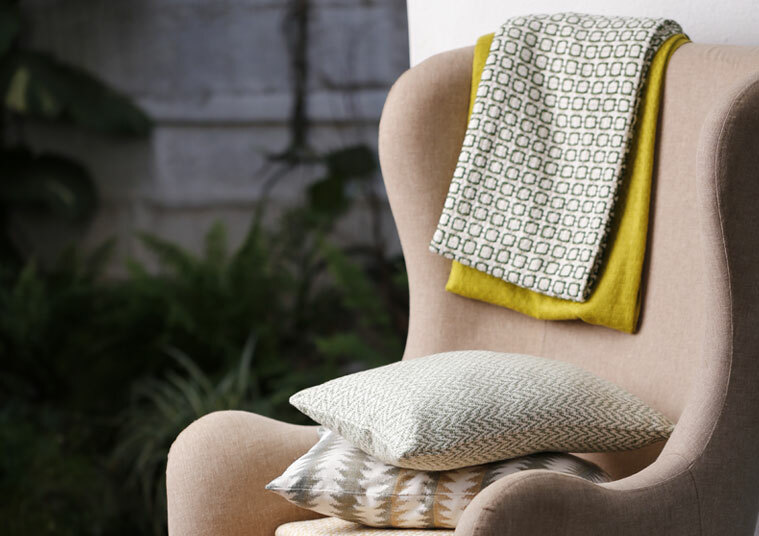 Throws can be used both inside and outside your home, and make a style statement whether it’s winter or summer. As they are smaller than typical blankets and can be used for multiple purposes, they are truly versatile items that you can own. 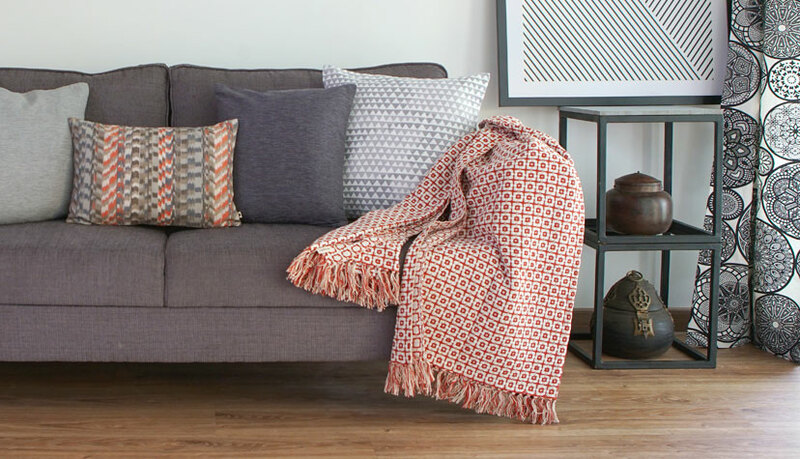 And if you’re looking for a cotton throw with a beautiful pattern and touchable texture, shop now at thoppia.com/product-category/living/throws/. You will also find several handwoven throws that you will love. Gone are the days of flashy and gaudy furnishings. Today, people prefer light and subtle materials. Fabrics that are minimalistic, elegant and feathery are liked better. And this applies to the window treatment as well. A timeless and beautiful option for the same would be sheer curtains. Although they’d been quite neglected for some time, sheer curtains have gained their place in home décor. People are finding them advantageous. They impart aesthetic value. And they’re functional. How? Here are ways how they can benefit your home. Who doesn’t love a home filled with natural light in the day? It makes the room airy and bright. If you’re looking for some filtered vitamin D and a room that gives out happy, sunny vibes – sheer curtains are your best bet. Their translucence allows natural light to pass through, not entirely, but just enough. They’ll also give you essential UV protection. They can blend well with blinds and blackout curtains too. Most people sadly describe closing their curtains as darkening their room. No, not with sheer curtains. With them, you can still have a bright room, without having to compromise on the privacy you need. The sheer fabric is thin enough to allow sunlight, and thick enough to disallow the eyes of those on the outside of your room. It blocks the inside view. Sure, they block the inside view. But not the outside view. Sheer curtains’ translucency will help you enjoy the view outside while covering your windows. They can boost the ambience of your room, add an uncanny charm to it, and let you appreciate the scenic landscape on your home’s exterior. Timeless, dreamy, romantic, sensual — sheer curtains help you achieve all these feelings for your room. Their versatility is their true power. If you’re looking to create a calm and relaxing aura, go for neutral colors like grey, white, cream, beige or soft pink. 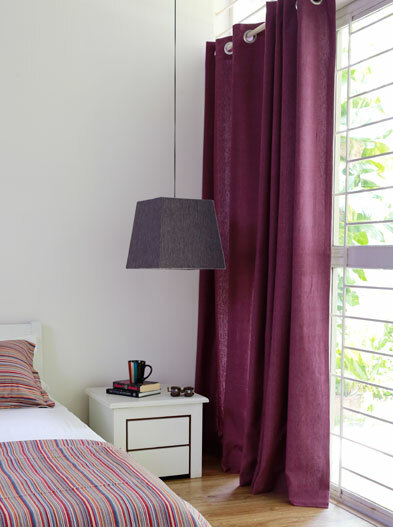 The breezy sheer curtains will very well complement your bright bed sheets and other bed linen. Or if you are keen on using bright colors, go ahead. You could team them up with brighter colored solid shades curtains too. This is a loveable reason indeed. If you feel that the ceiling in your room is too low or your room is too compact, pick sheer curtains. Install them from floor to ceiling, if you want to make the ceiling appear higher. It’s a plus, if the curtains have vertical stripes. Get them customized longer than your window pane, if you want to make your room appear bigger. Sheer is a light and subtle material, so it will also feel clutter-free. A smart fabric with a simple yet sophisticated style – that’s sheer for you. Sheer curtains that are made of 100% cotton or linen feature natural fibres and have varied choices in color, print and style. Pick the shade that’ll match or complement the color of the rest of your room. That includes furnishings like sheets, bedding and cushion covers. Set a relaxed vibe, fill your home with energising natural light and style. Get some sheer! 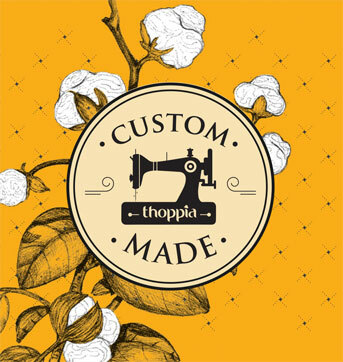 Thoppia is a brand established in 1998, which sells soft home furnishings that are 100% pure cotton. Not just ‘cotton’ or ‘pure cotton’, but 100% pure cotton products for every modern home. 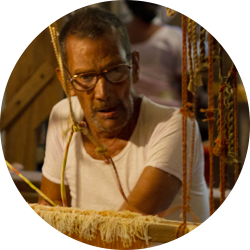 The name is derived from ‘Thoppian’, which is the name of a renowned traditional weavers’ family from Kannur. 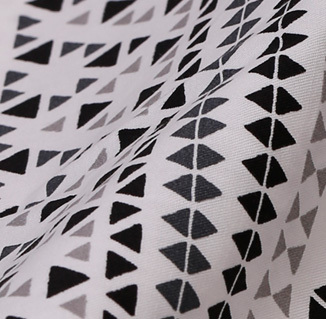 Thoppians are one of the most authentic cotton fabric manufacturers in India. Thoppia offers products that are durable and modern by combining traditional handicraft with the latest fashion trends. 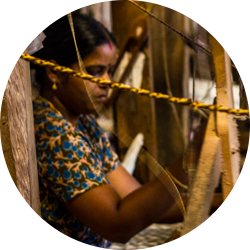 The dedicated weavers associated with the brand are from Kannur, which is rightly called ‘the land of looms and lores’. 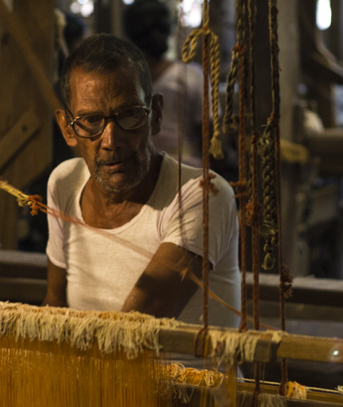 The weavers’ commitment to quality is ingrained in every fiber of the fabric they weave. The entire life cycle of the fabric – from choosing the yarn, dyeing it, weaving it, to stitching it – is done in-house under close supervision. This gives scope for greater control over quality standards. Thoppia began as a home decor retail company in 2010, but in 2017 it transformed itself into an online store. 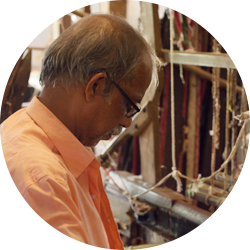 Starting with a brick-and-mortar retail model in Bangalore, it moved on to the online retail model completely by shipping products all across the country and promoting the skilful products and meticulousness of Kannur’s master weavers. The Thoppians wanted the whole of India to experience their quality products. Thoppia online was established with this aim. Thoppia ships its products all over India, including the customized ones. That brings us to a unique and exciting feature about the Thoppia’s online store- the Customization feature. Every home is different, deserving a unique character and a personal touch. So Thoppia’s customization page lets you to choose the fabric, dimensions, the desired lining and stitch too to make your home look unique. However, it does have a Home decor experience store in Bangalore – established in 2018. Those looking for home décor in Bangalore can always visit this store to find something genuine in cotton furnishings. Curtains, cushion covers, throws, bath towels, bed sheets – you name it. 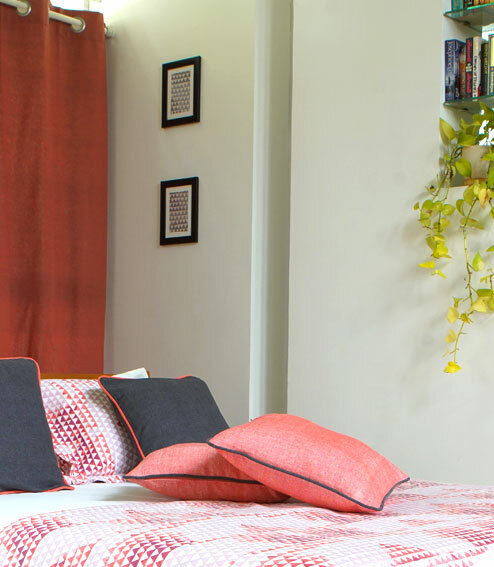 It’s got a wide range of 100% pure cotton as well as linen furnishings for every customer, anywhere in India. If you are familiar enough with the world of bedding, you may be aware that there are two very common types of bed sheets – flat sheets and fitted sheets. And it is often debated as to which of the two is better, or more preferable. What are Flat Sheets and Fitted Sheets? Flat sheets as the name suggests, are flat, rectangular pieces of cloth. They fold easily and lie completely flat on the surface. Fitted sheets are designed to be pulled over a mattress. They have elasticized corners – and thus enable a snug, secure fit. Deciding which the better choice is totally based on personal taste. 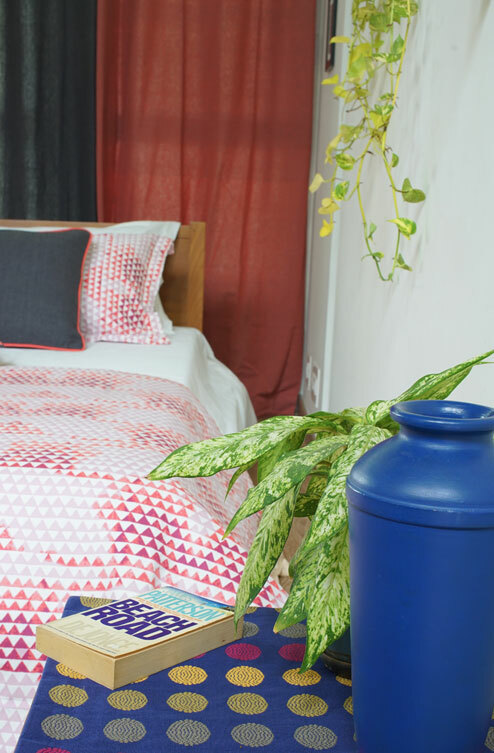 People who like the way a flat sheet looks on their bed, and don’t mind tucking in its corners time and again in order to make it look fitted, choose flat sheets. 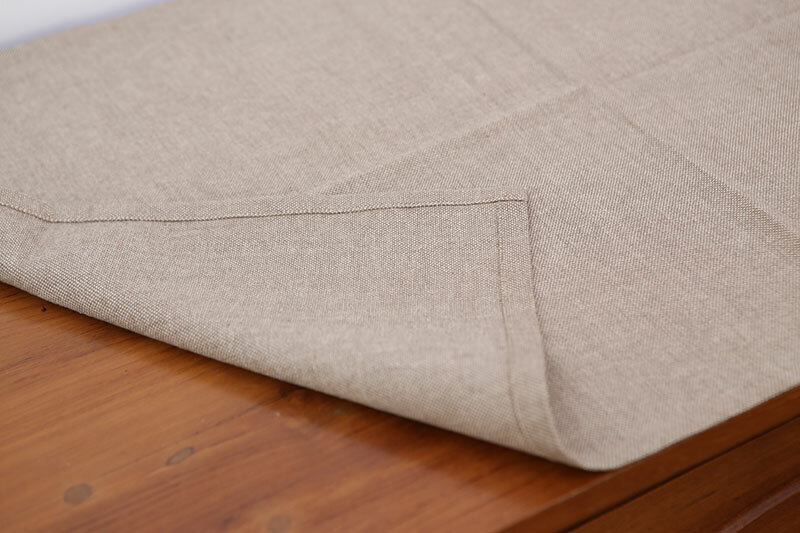 Yet, more and more people these days are going for fitted bed sheets, because they think that tucking in a sheet’s corners every now and then is too much of a hassle. Fitted Sheets stretch enough to fit the expanse of the whole bed. Due to this, there are hardly any creases or lumps in these sheets, unlike loose sheets. How to buy Fitted Bed sheets? Like everything else, fitted sheets are also commonly purchased online. Yet, most fitted bed sheets online are ready-made and loose. This, we feel, is not the right way to buy them, and goes against the very purpose that they’re made for. Before purchasing fitted sheets, it is essential to have the right dimensions of the mattress – its length, width and thickness. The right dimensions matter a lot, because fitted sheets must pull snugly over the mattress and not be easily pulled off. The sheets of the incorrect size won’t be able to go neatly round the corners, and won’t stay in place. Which is why, customized fitted Bed sheets are the best bet, and can always be preferred over ready-made ones. If you’re looking for a very neat fit as well as diverse options in colors and patterns, buy custom-made fitted Bed sheets. The fabric of the fitted sheets is also to be thought about, as they come in direct contact with your skin. Cotton has always been the most popular pick. This is because of cotton’s comfort, breathability and durability. Another pleasant choice is linen, which is great for hot climates, as it wicks away body heat. Customized fitted bed sheets can be easily availed at Thoppia. 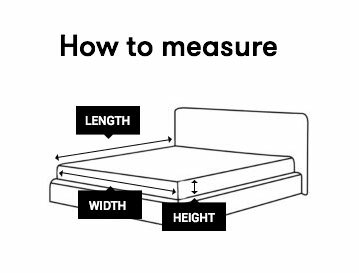 All you have to do, is select your mattress measurements, and the fabric you like. You can select the number of pillows too, if you need them. With an array of colors and prints to choose from, soft 100% Combed Cotton Sheets, or Linen Sheets, can be yours – as you like them. Unwinding on a comfortable bed after a long day is indeed a pleasure. So, head to Customizable Fitted Sheets, and get your bed some luxurious custom-made fitted sheets. Rest assured, that investing in good fitted bed sheets will have you noticing the difference while you sleep. And that difference is totally worth it. Perhaps you’re at a new phase in life. And being bored with your good old bedroom, you want to redecorate it. Sure, redecorating your room can be a great idea. It is a chance to reflect your personal style and create a look you love. But if you feel at a loss of where to start, that’s okay. Because we’re here to help! These tips can come handy. This first tip is totally up to you. Picking a color scheme for your bedroom can make your decorating choices a lot easier and decisions more focused. It gives your room a touch of elegance and your individual style. Color will also help you to achieve the feeling you want for your bedroom. However, you need to pick the color scheme carefully. Consider the colors and undertones of already existing furniture, cabinetry and flooring. Choose accordingly. Walls play a huge role in home décor and revamp. You can change the color of your walls, or put a fresh coat of the existing color. That too can make a difference. And don’t keep all the walls blank. Blank walls can look unwelcoming. Put on some artwork. Hang some framed photographs. Grab a stitched cloth from Thoppia and put it on your wall. Add some warmth, color and pattern to your walls. Your windows can be given a boost with some new curtains and blinds. Get exquisite curtains in linen or 100% cotton. Your children will love to play hide-and-seek behind them! So let the curtains be of natural fabric, soft and safe. And they’re durable. You could get them customised as per your header and size requirements too. And when you order custom blinds, you won’t have to worry about being stuck with ones that don’t fit. Because you’ll get exactly want you want, as per your specifications. Your bed is probably the largest piece in your bedroom, and the piece you love the most there. So, it deserves to take the center stage. The bed covering and pillow shams make the largest difference, so we suggest you start with them. Get some new bed sheets. If you’ve chosen a color scheme, shop accordingly. You could choose 100% Cotton sheets. They’re natural, breathable and skin-friendly. Plus, cotton cellulose does not lose strength when wet. So, cotton gets stronger with every wash.
Also get nice duvet covers for your bed. They’re classy and comfortable. And at Thoppia, they come with the goodness of combed cotton. 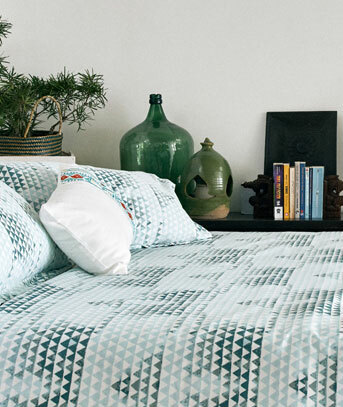 Make your room look elegant, and nestle into the duvet cover after a long day. Depending on what you’d like to have at your bedside, put in a plant, a vase or a lamp. All these items can refresh the look of your bedroom and give it a sophisticated feel. Choose any one of them.For a plant, pick a small one. A dash of green can give your room a lift. Plants filter the air, remove pollutants and dust, and humidify the air. You’ll sleep better and feel better. Your room will look nicer too. For a vase, you don’t have to be a design wizard to create floral arrangements. Just find a pretty vase, glass or jar; and fill it with pretty flowers. 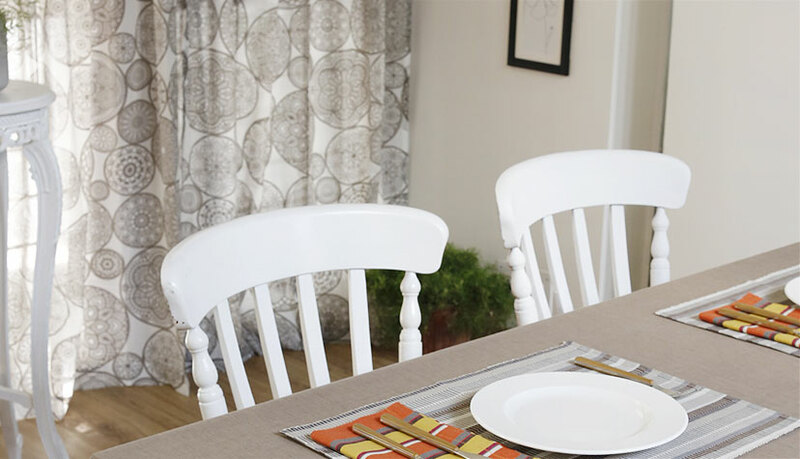 You could also choose a table cloth for the table on which you keep the vase. Or turn a stitched cloth into a vase mat. For a lamp, choose a simple yet elegant one. Bedside lamps are particularly cozy, and they’re useful. Small bedside lamps or even nightlights will do. This tip is one of the easiest ways to change the look of your bedroom, and won’t cost a dime. Just rearrange the furniture in the room. You can put the bed in a corner instead of against a wall. This will also make the room look more spacious. You have the choice to make your bedroom look as wild and wonderful as you’d like to. So use the above tips, pick what you love, and get going! Enhance the look of your bedroom. Give it the much needed revamp. Today, our lives have become fast paced and frenzied. We hence crave a calm and peaceful space to come home to. Usually, the first space we enter as soon as we set foot into our homes is the living room. That’s why, it’s recommended that you make it look and feel Zen. 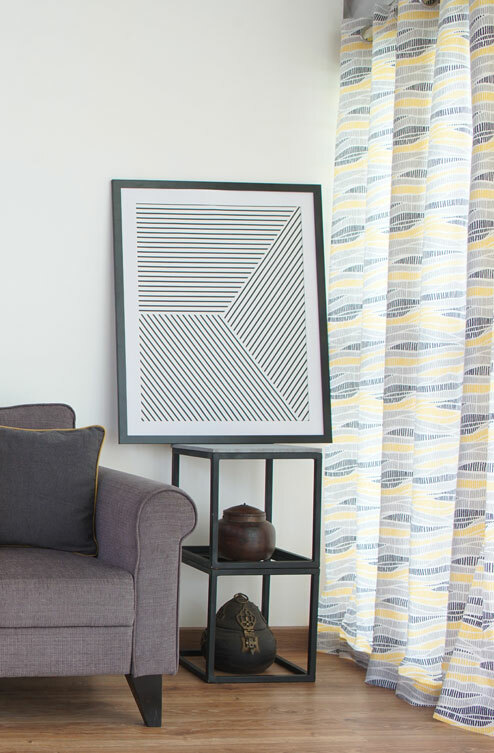 Here are a few simple yet useful tips on how you can pervade peace into your living room, sitting room, lounge – or whatever you call it. Whether in your life or in your living room, clearing clutter is essential. Clutter is of two types- the one that gets accumulated and the one that our eyes interpret as visual clutter. Think of the places in your living room that end up accumulating the most amount of clutter. The coffee table is usually one – what with all the newspapers and magazines. And also those corners where you hide the stuff you no longer use or rarely need. Clearing out such clutter can make a huge difference in your living room. Chambray Cotton Cushion covers in Dark and Grey/Mustard colors. Then you could also minimise the visual clutter. By that we mean the things you added on purpose, and went a little too overboard – perhaps with use of color or pattern, collections or attempts at styling. 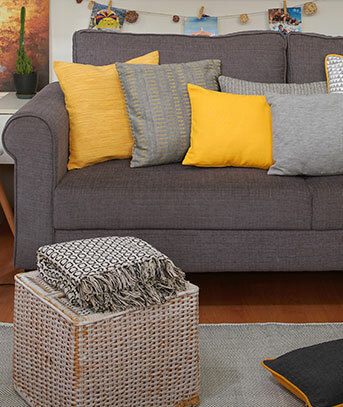 Stick to natural, light and comfortable fabrics for your living room. It is best to use the ones that are 100% Cotton. The curtains should provide a sense of intimacy, while reducing noise. Go for natural textiles like linen or cotton. Soft, flowing curtains are your best bet. Moreover, floor-to-ceiling curtains look elegant and add a touch of warmth. Associate them with customized blinds that modulate light, to obtain a different atmosphere. And pay attention to the fixation systems too. You wouldn’t want to fix beautiful curtains on poor or non-matching rods. A throw is something that adds texture and warmth to any space. It can also make your guests feel more at home. And you’ll love to curl up with it when it’s a little chilly. According to the color of your sofa/couch, enhance it with a throw that is light colored but has a beautiful texture and patterns. Cotton ones are great. The colors you choose can have an impact on your mood. For your living room, embrace neutrals like white, grey or cream. Or go for light, tranquil shades of blue, green or beige. This holds good for the color of your walls as well as furniture and fabrics. Because bright and jarring colors like red, yellow or purple actually compete for your attention. They energise, instead of giving a calm and relaxing feel. If you’d like to add warmth and calm to a leather sofa, pick minimalistic cushions. 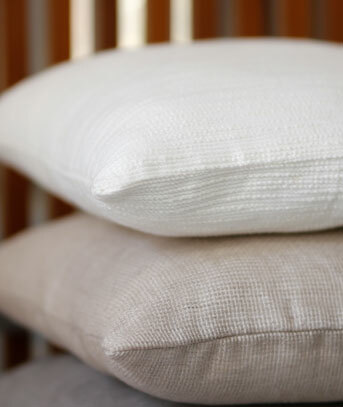 Keep their colors neutral and their covers of a natural fabric, like cotton. Cotton will keep them soft. Make sure they’re super plush as well. You can also keep peaceful-looking floor cushions in corners or wherever you want to. They can be great to relax. Get them customised if you’d like. And keep their colors tranquil. Some scents and fragrances just soothe your soul, and can do wonders to create a peaceful aura. Linen sprays, beeswax candles, rosemary or lavender essential oils – are all natural ways to enhance your living room with fresh scents. Or if you know of a natural scent that can calm you on a personal note, bring that scent in. Your peace is in your hands. Although it’s an inner thing, outer atmosphere can also have a huge impact. As your life is busier than ever, implementing the above tips in your living room can help to calm you. 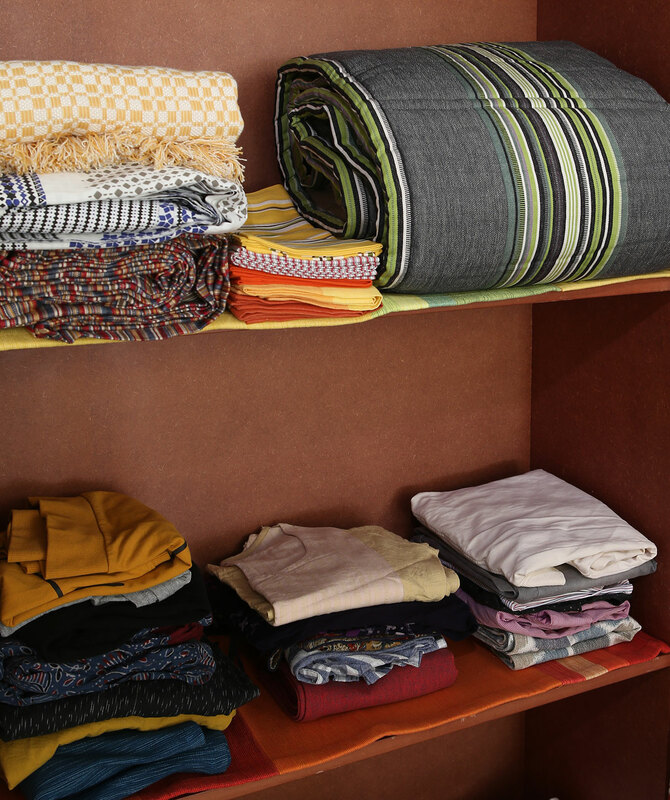 Pick your colors and fabrics wisely, organise your home, and see what that does to you. Ask yourself, when was the last time you talked about towels? You probably can’t remember. We don’t really give them much thought. But a bath towel still plays a big role in our daily lives. Just think of living out a day without it! While a lot of us start and end our day with it. Shopping for a convenient bath towel can be tricky. If you’re thinking it’s no big deal, think again. Bath towels come in so many different fabrics, textures, sizes, colors, weights. And you use them every day. You sure have to choose the right one! Moreover, the one that is best for you. In this race of which towel is better than which, we could give you a great option: Cotton. Because cotton is an amazing fabric – that’s easy to care for, and reasonably priced. And more power to you when you find a towel that’s 100% Cotton. A 100% Cotton Bath Towel is free of chemicals. Cotton is a natural product. And unlike synthetic fibres, it is more absorbent. The towel hence has high absorbency. Cotton is a breathable material. The fibres allow air to pass through. Comfortable? Yes! It does not irritate the skin. So the towel won’t be itchy – making it soft and skin-friendly. Plus, the choice of colors and patterns you can get is exciting. 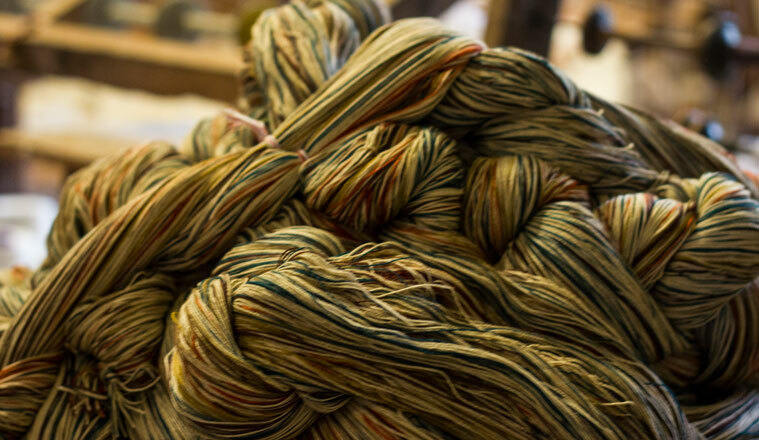 Cotton is receptive to different dyes, making it a versatile choice in fabric. It can handle anything on the color wheel. And the best part is that unlike other sumptuous fabrics, cotton won’t ask you for much. Of course, you will have to take some care while washing your cotton bath towels. But you can wash them like any other clothes. Just putting them in a washer with detergent also will do. 100% Cotton Bath Towels are the safest and nicest out there. Now that you know why Cotton is the best bet for bath towels, how about getting them for yourself? At Thoppia, contamination free cotton yarn is procured. Quality is always kept in mind. The bath towels at Thoppia have all the benefits of cotton, amplified. They have a natural texture on the surface. You can find elegant options in honeycomb weave. 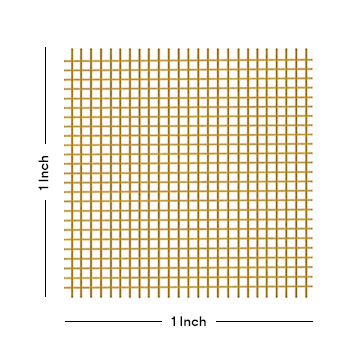 Honeycomb weave (aka Waffle weave) has a 3D cellular structure which resembles a bee’s honeycomb. The towels are Vat Dyed for consistent coloring. They’ll keep you dry, clean, cozy and step up your home décor game. 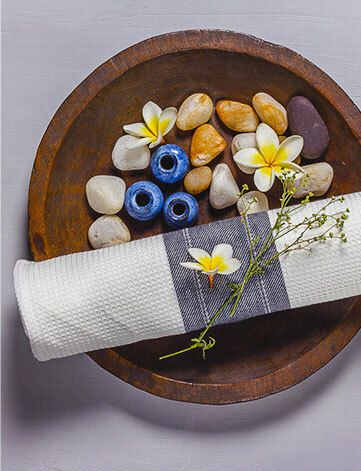 The 100% Cotton Bath Towels are perfectly woven taking a lot of care. No wonder, they’re highly absorbent and radiate sophistication. Why is it important to invest in a good night’s sleep? You think good. You look good. You feel good — only if you get a good night’s sleep! Getting enough sleep is as significant as your any other healthy lifestyle choices. Fundamental to best sleep is a comfortable sleeping environment. Investing in quality sleep is as significant as investing in a gym membership or right diet plan. Achieving that perfect 7-hour slumber is easier said than done. 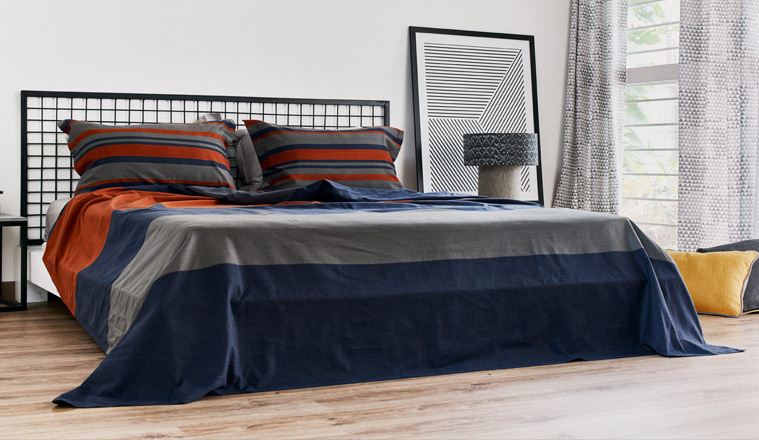 If you don’t choose the right textiles, you might be setting yourself up for poor sleep. The comfort of the fabrics used for bedding plays a major role in determining the quality of your sleep. Challenge is in achieving that perfect balance between keeping our bodies cool enough to drop off to sleep and warm enough to feel comfortable. And that’s why cotton is considered as one of the most comfortable bedding fabric ever. Cotton bed linens are soft, lightweight and breathable. The fabric allows ample air circulation to your skin, keeping it dry and clean throughout. Being a hypoallergenic fabric, cotton is impervious to allergies and skin irritations. The type of weave and quality of the fabric are the key factors you should be looking for before investing in a bedding. Therefore, make sure that you look out for 100% cotton tag. Investing in high-quality bedding will guarantee you years of use and comfort. But choosing the right one could be tricky. Learn how to read the packaging & label carefully. Understanding the quality of the product will give you a better indication of the price differences. While heavy price tags accompany genuine cotton fabrics, their benefits far outweigh the usual cotton varieties that rule the high-streets. Debunking The ‘higher Is Better’ Myth. Does thread count really matter? After a long hard day at work, there’s nothing better than gliding into the comfort of a bed laden with quality bedsheets. The joy of curling up under a fresh & soft cover, sinking your face into a cloud-like cotton pillow is unexplainable. You are also ready to shell out a considerable amount of money on your bedding as you realize that quality sheets are key to your health & mood. But how do you get value for the money you are spending? As we all know, thread count is a popular buzzword for marketing premium sheets and other fabric goods. But what does it really mean? In simple terms, it is the number of threads woven into one square inch of fabric. This number is calculated based on the threads woven vertically & horizontally. Extra threads that are woven into the horizontal ones are called ‘picks’. Picks are generally used to add to the overall thread count of the sheet. But some industry professionals and great weavers feel that thread count is just a fallacious way to determine the quality of the material – especially when they portray it as the ‘ultimate way’ to determine quality. 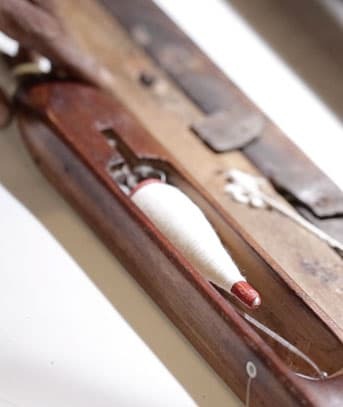 Instead of counting threads, take the quality of the cotton & feel of the fabric more seriously. Take the length of the sheet’s fiber into consideration. The longer the fiber, the longer the sheet will last. Long-staple cotton that creates longer & finer yarns is the best. A higher thread count with short fibers doesn’t do any good for your sheet. Wondering why? Fine & short fibers if not twisted, will break down faster. Yes. That’s why Thoppia uses tightly twisted fibers to keep sheets wrinkle-free, light & breathable. 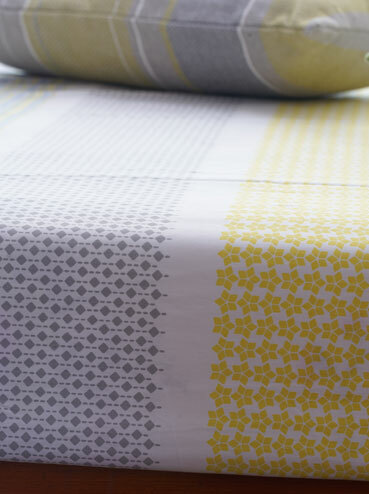 Most of our printed bed linens are twill woven — ensuring durability, smoothness, and a unique sheen. Good quality cotton is all you should go for. A quality cotton will result in a stronger fabric. This is the reason why a 200 thread count sheet can feel nicer and softer than a 600 thread count sheet that uses an inferior grade of cotton. Also, having a higher thread count doesn’t guarantee you a better finish or quality. Ultimately, the idea of comfort is very subjective. You should find a soft furnishing that beckons you to bed every night. While picking your favorite shade is a snap, choosing the right fabric to suit your preferences is a bit complicated. Because if you are looking for a ‘pure cotton’ tag, let us tell you one thing. Even that doesn’t authenticate the quality of cotton that you are using. Yes. The label ‘Pure cotton’, especially in India, doesn’t mean that the fabric is only made of cotton. Rather, it means that the amount of cotton that has been used in the fabric is pure. If you are looking for cotton garments that are not blended, what you should ideally go for is a 100% cotton tag. This will ensure that your home furnishings are going to be 100% environment-friendly, hypoallergenic, strong and comfortable. 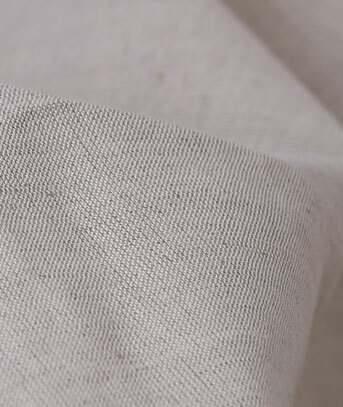 Your ‘100% cotton’ fabric is a natural product only consisting of cellulosic fibers. It is biodegradable and can withstand as many hot washes in its lifetime as it needs to. Cotton is the most popular fabric used to make home furnishings, and for a good reason. 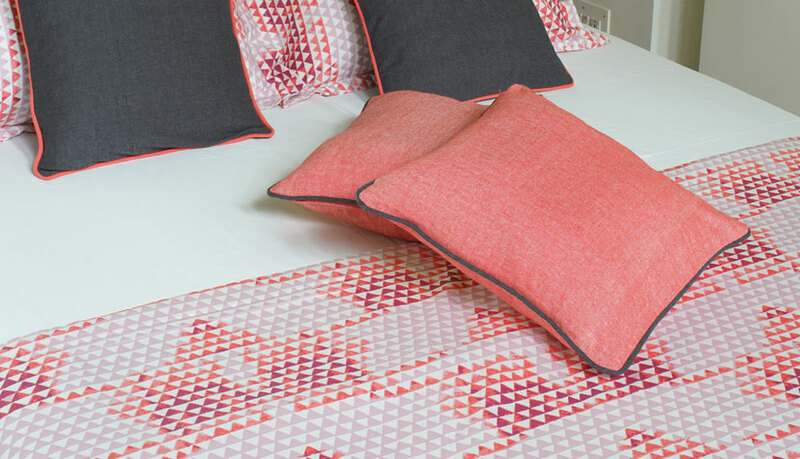 A 100% cotton bed sheet or cushion cover will be durable, soft and easy to care for. This fabric is also going to be breathable –allowing your skin to breathe, eliminating the possibility of rashes and boils. Good cotton is dust-mite resistant, thus reducing the chance of any skin allergies. Unlike ‘Pure Cotton’ fabric, 100% cotton fabric keeps moisture from building up between your skin and the material. The International Forum for Cotton Promotion (Livestrong) stated that cotton can take up to one-fifth of its weight in water before getting damp. Blended cotton too can feel roughly the same but is sure to get sweaty during hot summer days. In Thoppia, we procure contamination free combed cotton yarn for bed sheets. The process of combing the cotton makes the yarn stronger & softer. It also cleans batch of shorter fibres and impurities resulting in finer and more compact cotton. Our tightly twisted yarn can create a lighter fabric that is ideal for hot weather conditions – when your body needs more cooling & comfort. They are also good at springing back, which means they’ll remain wrinkle-free and excellent to drape for a lifetime. This is the reason why our bedding allows your skin to breathe and doesn’t trap heat under the covers. Above all, our 100% cotton fabric ensures that your home furnishings have a crisp and fresh look throughout your lifetime – because good cotton is going to be in it for the long haul. 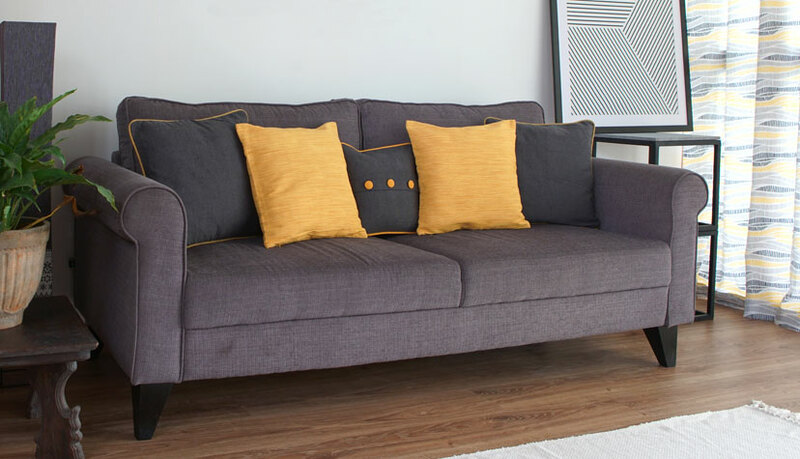 Whether you are after the perfect stitch or a distinct character, investing in customized home furnishings will ensure that your final product will give a touch of elegance and perfection to your living space. Shedding new light on home decors, Thoppia showcases an appreciation for luxury fabrics, impeccable stitches and a long-lasting finish. And with our customization option, you can buy your custom made furnishings online while being at the comfort of your own home. 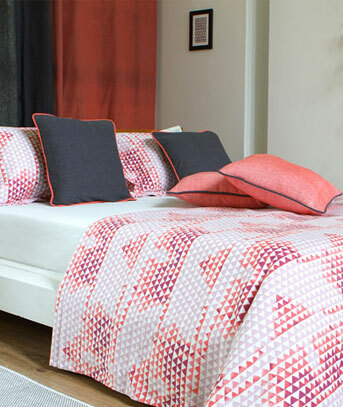 When choosing a new bed sheet or a cushion cover, the style & design are two usual attributes that one focus on. 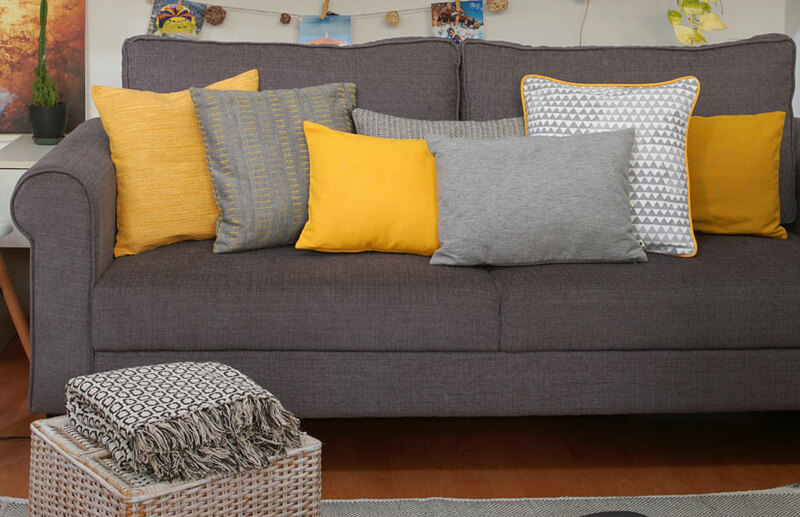 And often don’t realize the importance of the quality of the fabric and how consciously you need to pick them or don’t realize that a non-fitting cushion cover can be an eye sore in your beautifully done living room. Bedrooms are meant to be calm and serene. With premium-quality fabrics and bespoke services, we help you to create a unique individualized space to retire into. 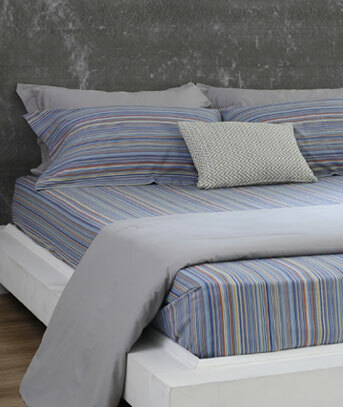 The custom-made fitted sheets will make your bedding stand out for its finish, simplicity & perfection. You can choose from the range of fabrics which are available and customize it as per your size requirement. If you dress up your windows/doors right, they can enhance the charm of the room. With a lot of variety that you get in curtains, there is so much that you can do by customizing that will be a unique expression of your taste & needs. Customization is not just about the color and pattern, consider the quality of the fabric and fitting more seriously. 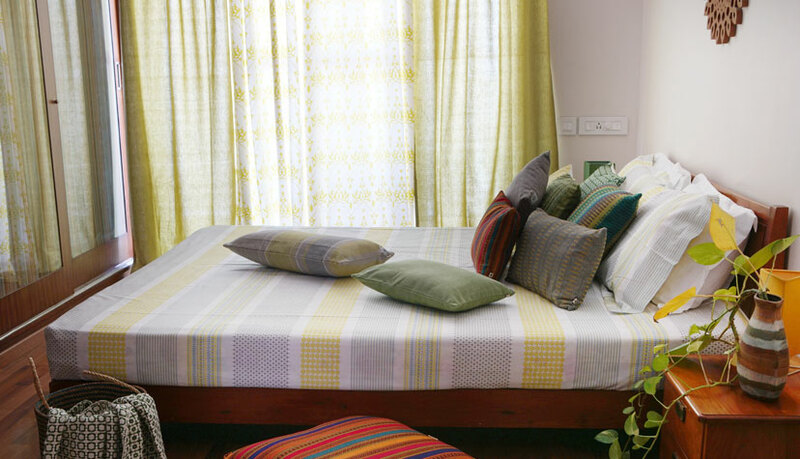 Here at thoppia.com/customize, you can do inch by inch customization of your curtains, bed sheets and cushions to have your home dressed up to the tee.The look and feel of our customized furnishings are sure to reflect your distinct character & individual style sensibilities. And, Cotton is best for your interiors as it is softer and kinder to your skin. It breathes well and can treat your skin with more care and comfort. We stay true to quality of materials. You stay true to your own style and personality. Let’s together brighten up your living space with a charm that’s uniquely yours.